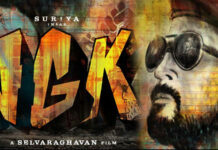 Actor Suriya Donates Rs 1 Crore For Welfare of Tamil Nadu farmers, Kollywood Star Hero Suriya is known for his kind gestures and philanthropic activities. The actor who has always been on the forefront when it comes to addressing social issues recently donated rupees 1 Crore for the welfare of Tamil Nadu farmers. 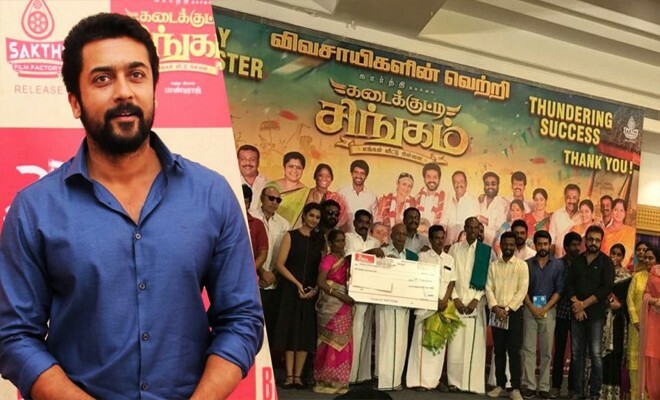 on Tuesday, at the success meet of his recent production venture ‘Kadaikutty Singam‘ (Chinna Babu’ in Telugu), Suriya donated the amount for the research and development of agriculture in the state. Directed by Pandiraj, Kadaikutty Singam’ stars Suriya’s brother Karthi, Sayyeshaa, Priya Bhavani Shankar, Soori and a host of other actors. Produced by Suriya 2D Entertainments, Kadaikutty Singam is a family entertainer that revolves around a young farmer and his huge family. The movie opened to positive response and is running successfully in theatres across the state. Owing to the tremendous responses to the movie from all corners, Shakthivelan, the distributor of the film, gifted gold chains to Suriya, Karthi and Pandiraj at the success meet.